What an honor it was to be included in a follow up to our Fabulous Friends Creating Beautiful Business feature in the print issue of I Like Her Style Vancouver with Best Reds With Great Friends along side Jasmine Hoffman and Stephanie Lewis. This feature was all about Red Wine and Red Lips! As Jasmine knows, we never wear a red lip however she assured us that she had the perfect red in her kit just for us! Exciting! Apparently, everyone has a perfect shade depending on their complexion and undertone. Ours was Stila Stay All Day Liquid Lipstick in "Beso", a beautiful true red that looks great with any skin tone. Well, if it didn't have us channeling our inner Gwen Stefani! If you are ready to find your perfect red, you can book a makeup lesson with Jasmine Hoffman which includes a full face lesson, colour theory, take-home face chart and shopping lesson on how to choose the best brands and build your makeup kit. 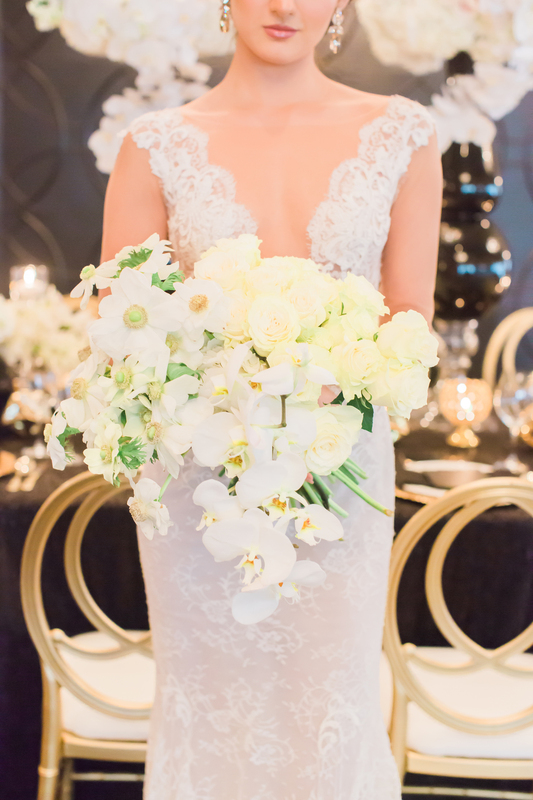 Styled shoots are one of our favorite things to collaborate on. Not only do they give us a chance to stretch our creative mojo but we also get to work with a collective group of professionals that are just as passionate about weddings we are! For this shoot, Planner and producer Pamela Nahal from Maude Weddings contacted us with her vision of a multi stacked statement ring. We loved making this piece and honing our filigree bending skills! Truly a one-of-a kind piece, it now resides in Pamela's personal collection! We love how Beauty by Azadeh creatively used our Tiffany Bracelet in the hair for extra adornment. This bracelet is available in a variety of colors and custom sizes for a perfect fit. Please contact us if you are interested in purchasing this style for your wedding day! The Jayna Earrings featured here are currently available in our Online Shop.